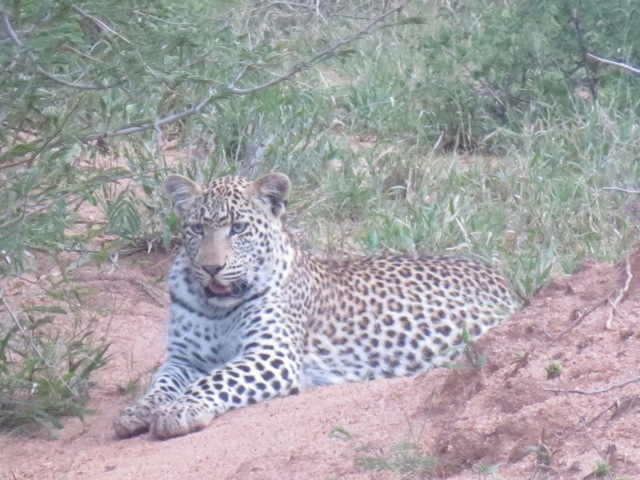 Steve Walker has habituated this leopard and her brother so well that we can sit with them for hours and be intimately involved in their lives, without them even acknowledging our presence. After fearing that no rain would fall this summer, on the anniversary of last year’s floods we received 110 mls and could not cross the river to the Camp for days – there is an alternative emergency entrance we have to use on days like this. It was so wet even the hippo came out to graze at midday. The Plains Dam which was badly damaged in last year’s flood was fully repaired in the dry season, and ………………Wow, with the rains it not only filled up but overflowed.